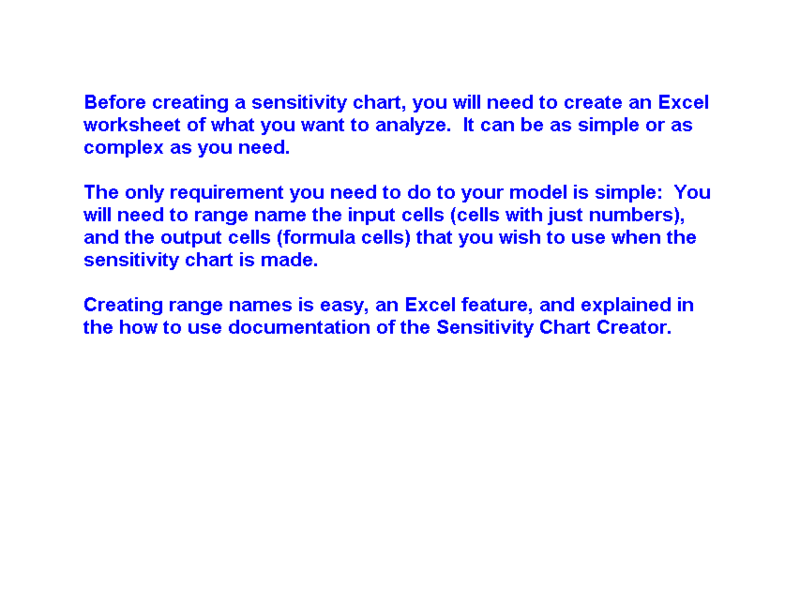 The Sensitivity Chart Creator is an add-in for Microsoft Excel that creates sensitivity charts. It is compatible with Microsoft Excel 2007 to 2019 and Office 365. These charts are also know as tornado or fishbone charts due to their appearance. They show the sensitivity of key output variables, in this case Net Present Value, to key input cells (shipments, variable cost, to volume growth).